This recipe for Homemade Natural Blush requires just 2 ingredients. The blush is amazingly simple to make. Amy of a Blossoming Life explains how to control the depth and color of the powder. This is an inexpensive and healthier alternative to commercial products that contain chemicals and toxins. 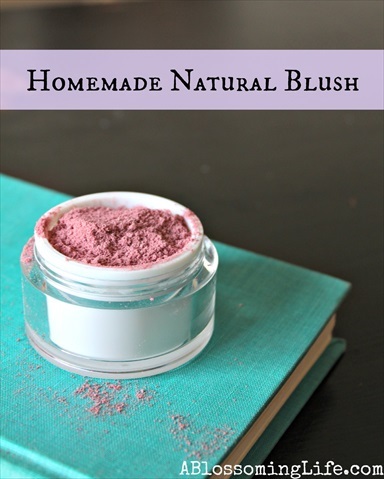 Visit the Homemade All-Natural Blush Recipe link below to read the complete article.